Fountaingate Gardens has been meticulously planned with today’s senior in mind, blending a charming, village-like ambience with the latest technology. Dining venues, a fitness center, social gathering places and other appealing amenities will be conveniently located just a few steps from each residence. Winding paths will meander through landscaped grounds, and a beautiful pond and fountain will create a scenic oasis for you to enjoy on Long Island. This lovely setting will be further enhanced with today’s modern appliances and community-wide Wi-Fi. 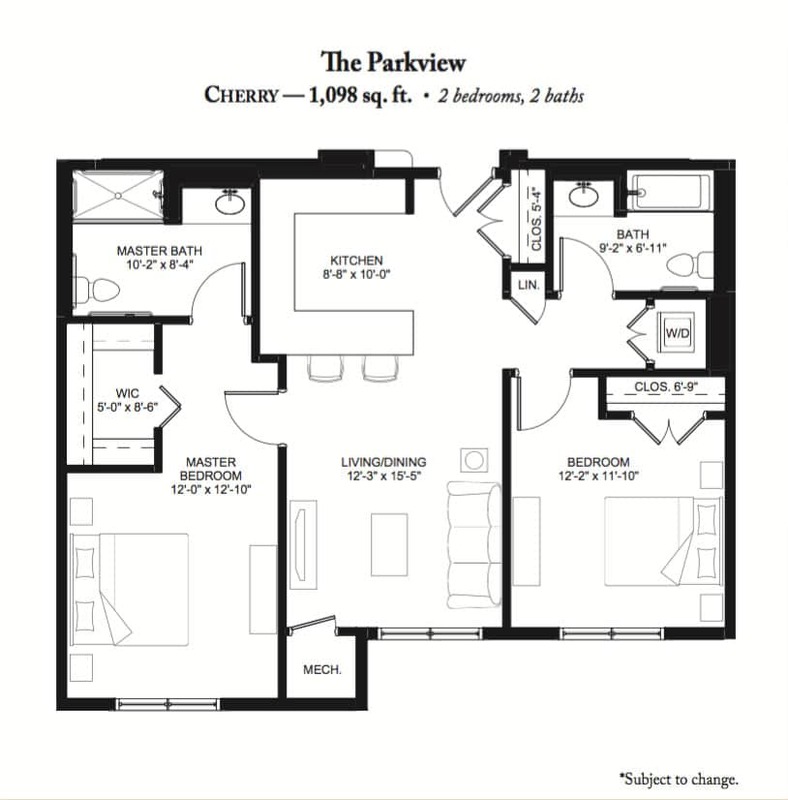 Two elegant building styles, the Terraces and the Parkview, will offer a selection of spacious floor plans. As one of the first residents in this brand new retirement community, you will have an opportunity to customize your apartment home to fit your own personal style. 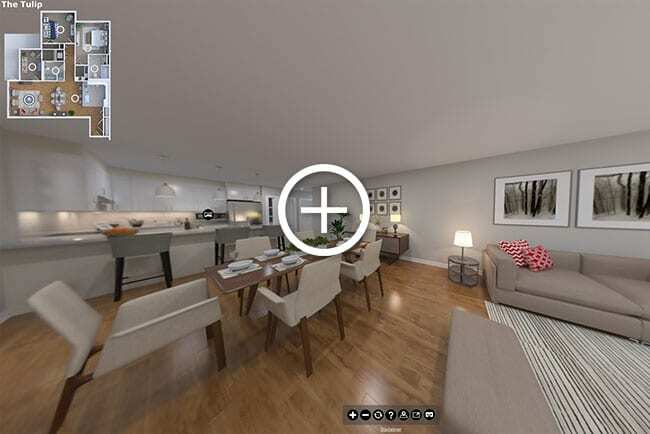 These well-built homes will feature high-quality flooring, appliances, cabinetry and finishes. At Fountaingate Gardens, all residences will be maintenance free! No more yard work, snow shoveling, gutter cleaning or other home upkeep chores… just more time to enjoy friends, family and the pastimes that you love. Now is the time to reserve one of these stunning new apartment homes. Be among the first to ensure the best selection. Contact us today! These are conceptual, artist renderings of the soon to be built Fountaingate Gardens and is subject to change. Maple: 1br | 827 sq. ft.
Oak: 1br | 869 sq. ft.
Willow: 1br w/ den | 987 sq. ft.
Laurel: 1br w/ den | 1,049 sq. ft.
Birch: 2br | 1,081 sq. ft. Spruce: 1br w/ den | 1,095 sq. ft.
Cherry: 2br | 1,098 sq. ft.
Dogwood: 2br w/ den | 1,286 sq. ft.
Walnut: 2br w/ den | 1,350 sq. ft.
Rose: 1br w/ den | 992 sq. ft.
Lily: 1br | 1,047 sq. ft.
Holly: 1br w/ den | 1,140 sq. ft.
Lilac: 2br | 1,230 sq. ft.
Iris: 2br | 1,356 sq. ft.
Azalea: 2br | 1,400 sq. ft.
Tulip: 2br w/ den | 1,559 sq. ft.
and get the best selection! With a fully refundable deposit, you can be among the first to choose a residence.